Upstate Industrial Supply in Pendleton, SC has teamed up with BOSS Bolt & Tool to offer an extensive selection of Fasteners, Cutting Tools, Marine Hardware, Nuts and Bolts, Concrete Anchors, Drill Bits, Abrasives, and more quality products available throughout the Southeast. UIS and BOSS Bolt & Tool stock thousands of items to keep your business running smoothly. Upstate Industrial Supply and BOSS Bolt & Tool sell quality products complimented with a dedicated sales force to ensure on-time delivery and service during and after the sale. We understand that every customer has different requirements. With our knowledgeable personnel, extensive warehouse space, and (real) inventory, we meet the just-in-time needs of your industry. 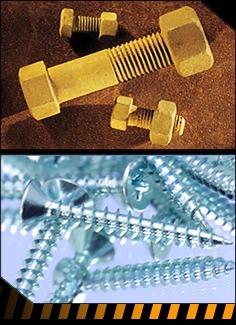 Whether you need 100 parts or 100,000 parts, Upstate Industrial Supply and BOSS Bolt & Tool is your trusted and timely solution.